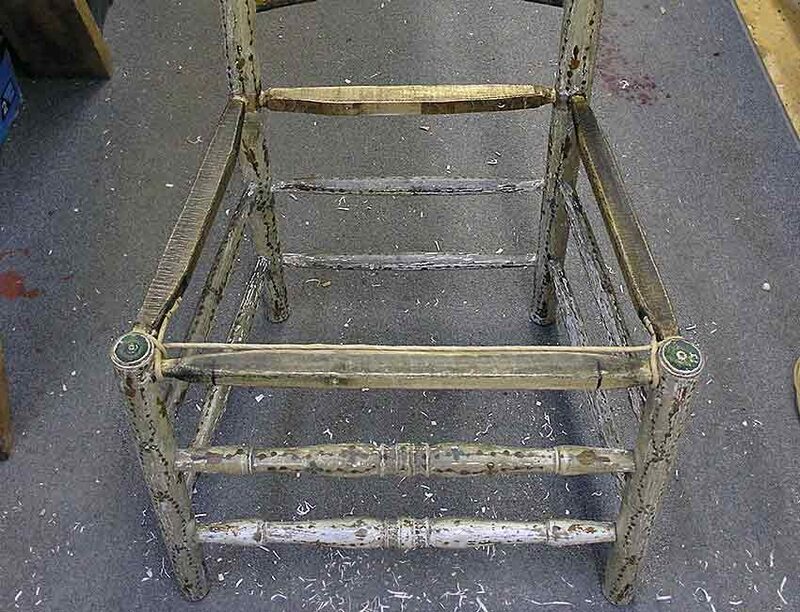 This antique chair was brought in because the back rail for the seat was broken. Unfortunately the only way to replace it was to remove the rush seat. Once removed, an inspection of the other rails showed they were badly worm eaten, and the front rail was just a dowel rod (not original). Luckily the chair was loose enough to be able to install new rails. I used hard maple and positioned them so the grain was quartersawn to give them the most strength when sat on. I also shaped them as the originals. Here is the chair with the new seat rails installed. Next, a fiber rush seat was woven and sealed with a coat of shellac. 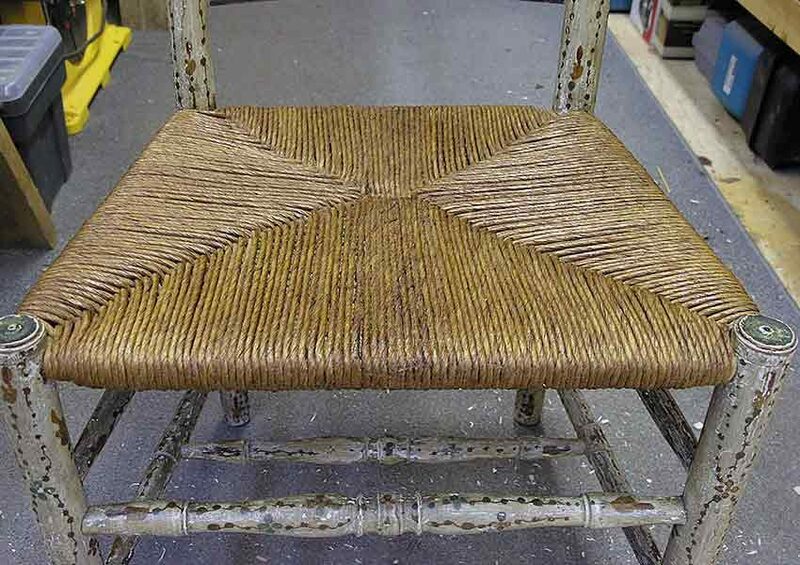 To complete the project, the chair was touched up and waxed. 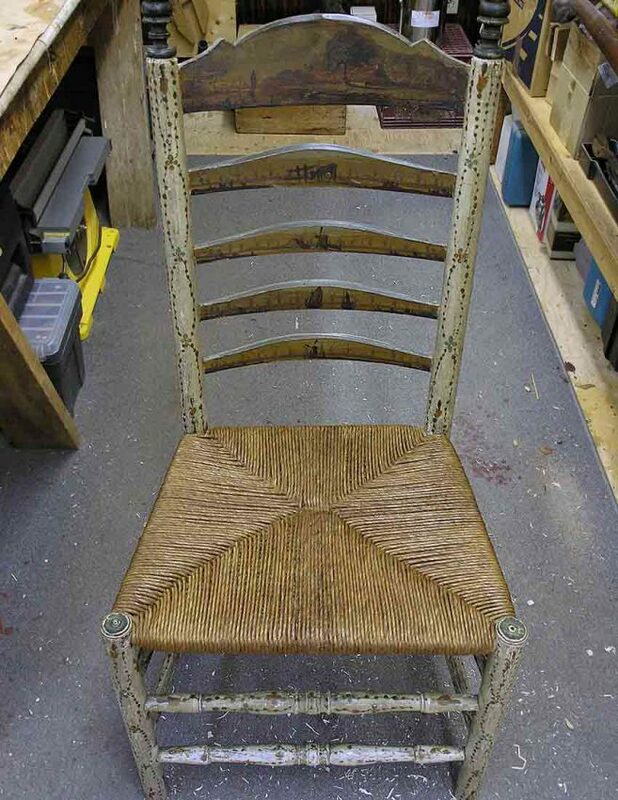 This chair seat was repaired for a Salisbury CT client.